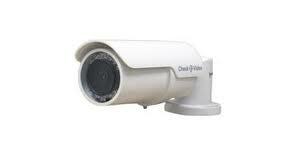 CheckVideo recently released its CheckVideo High Definition Outdoor Bullet Camera known as the CV135. The CV135 is the first megapixel security camera from the company that packages video analytics technology, DVR, and video surveillance as a service (VSaaS) into a single, complete cloud-based intelligent video surveillance solution. The CV135 provides full 24/7 video surveillance and sends critical, real-time alerts that users can act on to notify authorities, shorten response time and even stop crimes in progress. Due to the fact that this camera is capable of detecting the presence of people and vehicles, in addition to motion, it dramatically reduces nuisance alarms. Video alerts can also be sent through the cloud to a central monitoring service, email address, smartphone or secure CheckVideo Web Portal. In addition to that, the CV135 also continuously records video 24/7 while live, recorded or event video can be viewed remotely anytime and anywhere from the CheckVideo Web Portal. The CV135 is a 2 megapixel IP 66-rated weatherproof IR bullet camera that comes with an all-in-one power cable that includes the option for Power over Ethernet (PoE). The camera also comes with the CheckVideo Software Service to provide Video Surveillance as a Service (VSaaS) and, once installed, the camera can be configured and managed remotely using the secure CheckVideo Web Portal, which also helps reduce maintenance costs.